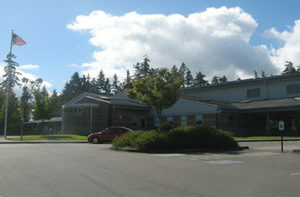 The ASB is Goodman Middle School’s Associated Student Body. We work with leadership for Goodman Middle School. We are the voice of the students. The ASB sponsors school wide assemblies, dances, spirit days, sports, activities and clubs. We take care of community service projects that are both local and global. We do the morning announcements, fundraisers and, later in the year, we present to the school board. We have monthly meetings with homeroom representatives to discuss and act upon non-academic school-related issues. The focus of ASB is on providing and supporting a wide variety of opportunities for student involvement in the Goodman community and making Goodman a great place for everyone! Tuesday, January 8th *Revised date! 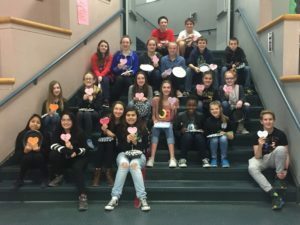 Homeroom Reps: Help is always appreciated in planning events. Homeroom reps are permitted to come to ONE (please limit to one, since we want to share work fairly) ASB Officer Meeting per month. There is an activity bus that runs on Tuesdays and Thursdays to take you home if you don’t have a ride. If you’d like to help out more often, run for an ASB position in the spring or join the leadership class! October 30: Fall Fest Activity Night, 3:00 – 5:00 pm *No Costumes! Tuesday, March 26: An Evening in Hollywood Activity Night, 3:00 – 5:00 ; Game Truck, open gym, games, crafts, movie, photo booth, pizza & more! Tickets will be on sale at the Student Store prior to the event, see announcements for details! March 18 is Trisomy 18 Awareness Day – wear purple to show your support! March 20 is Meme Day – dress like your favorite person from a meme! March 21 is Decade Day – 70’s, 80’s, 90’s – pick your favorite decade, group outfits encouraged! Spirit Day April 12: Spring Colors!